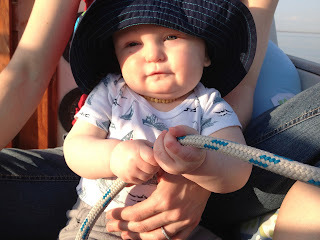 Our son, Hobie, took his first ride on a sailboat recently. 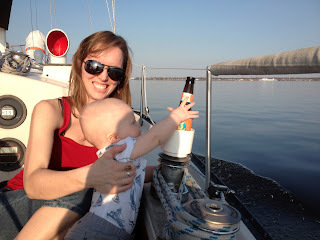 Conditioning him for the cruising life from a young age! (three beers later) Srsly... I love you guys.